Thanks for for popping in to see what I'be been up to. 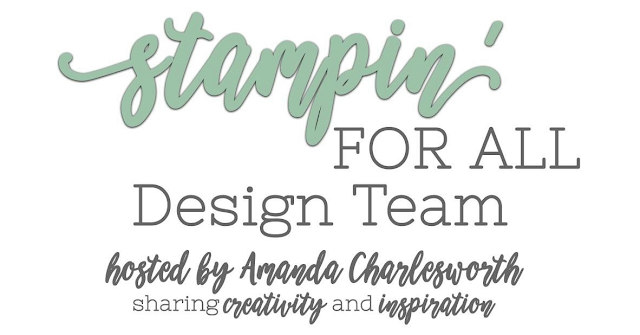 Today I am bringing you projects which were made for the Stampin' For All Facebook Group Design Team Challenge. It was my turn to set the challenge last Wednesday and it was a sketch challenge. I have to admit I was quite proud of myself for creating this sketch from scratch - maybe you teach an old dog new tricks!! 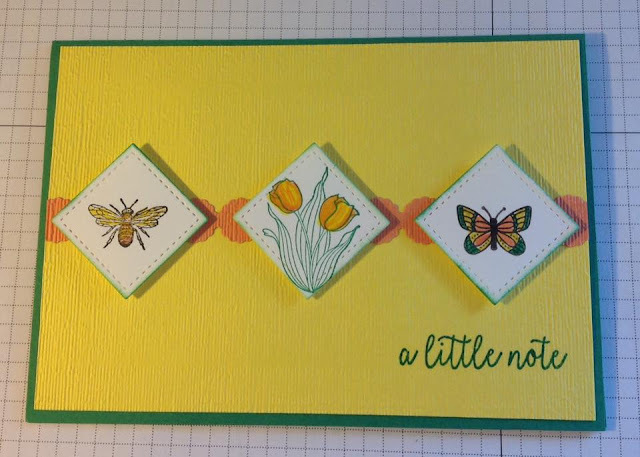 I said before that I thought this sketch was going to be a simple one to use - until I started to make my card. Then I realised - not so easy after all! 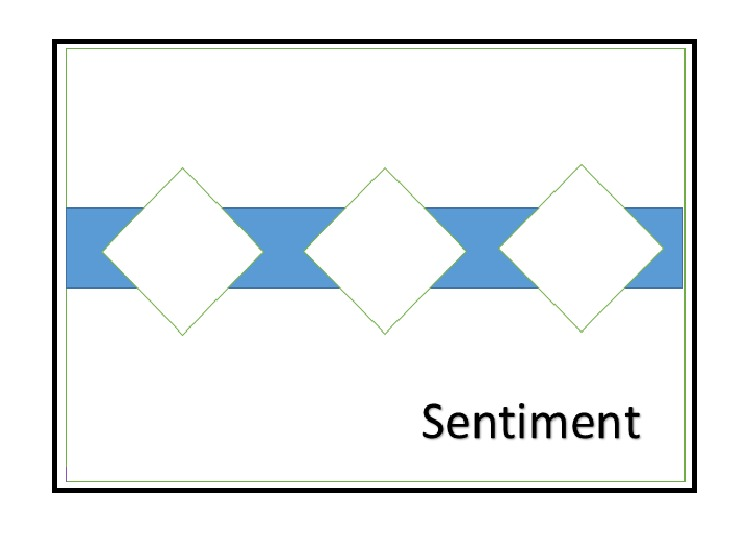 Anyway this is what I came up with. I'm pleased to say that we had lots of entries into the challenge - obviously others found the sketch easier than me. So without further ado here are the entries. Prepare to be inspired. First off is this lovely card in Spring colours by Pam Campbell. Great coordination of colours going on here and so fresh and vibrant! 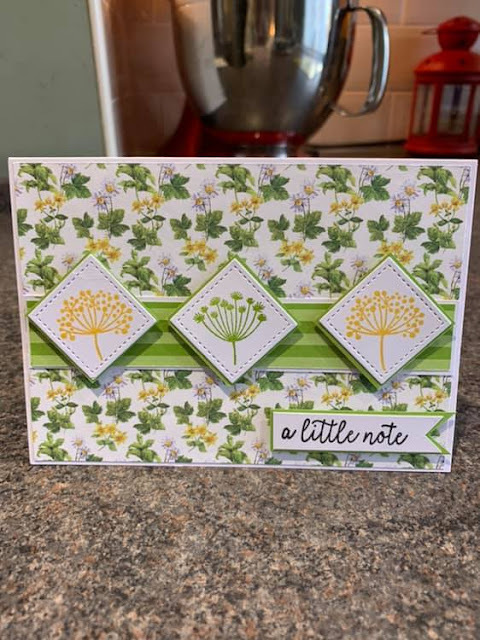 Next was this lovely card by Carol Ann Pendleton. I love how Carol has used three different, but linked images in her diamonds - and again, great colour choices. Next is a card by my good friend Gez Carpenter (aka Nigezza). Gez is not a lover of Lemon Lime Twist but has forced herself to use it. I, on the other hand, love it and will really miss it when it retires in June. 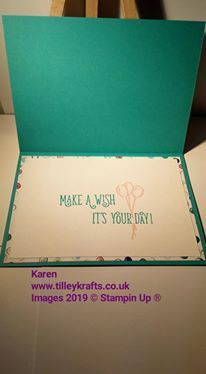 Karen Tilley made this pretty card which uses another of my favourite colours - Highland Heather! And she decorated the inside too - love that. Makes a handmade card really special! Next are two entries by Michaela Pickering. 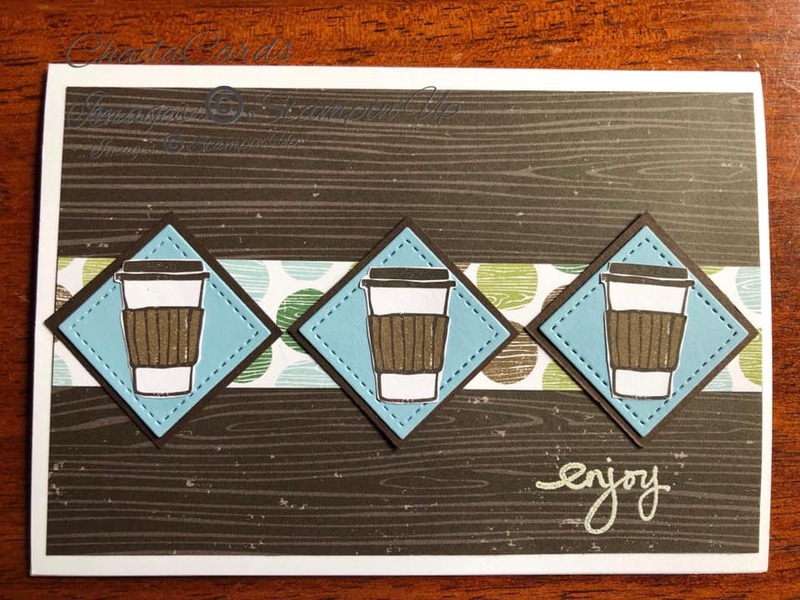 Firstly a great card for any coffee lover! 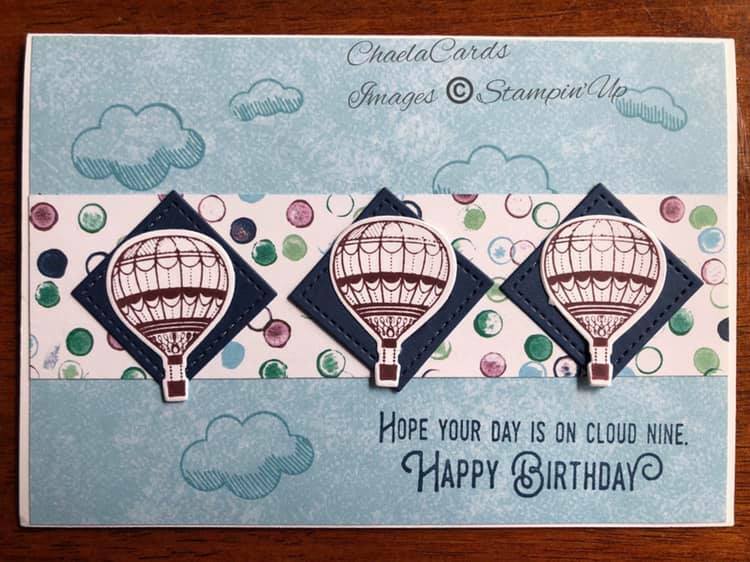 And then this card, featuring hot air balloons. Such a great design for a male card - we all know how tricky those can be! This next card is made by Sylvia Hamilton (who, incidentally is Gez's sister!). 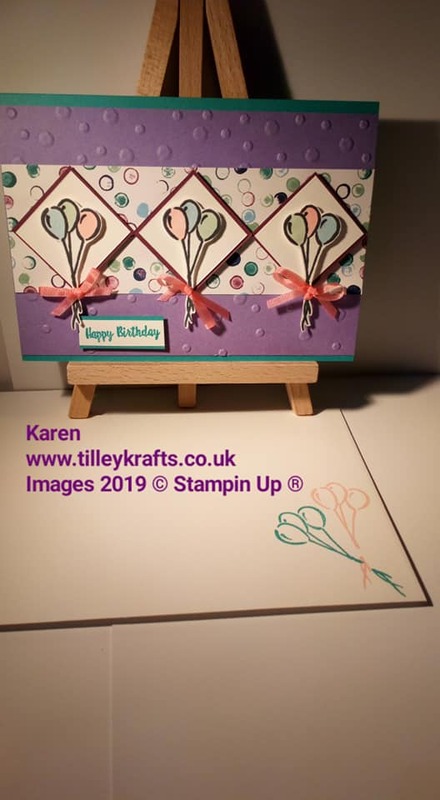 Sylvia has not been card making very long but you would never know by looking at her card. 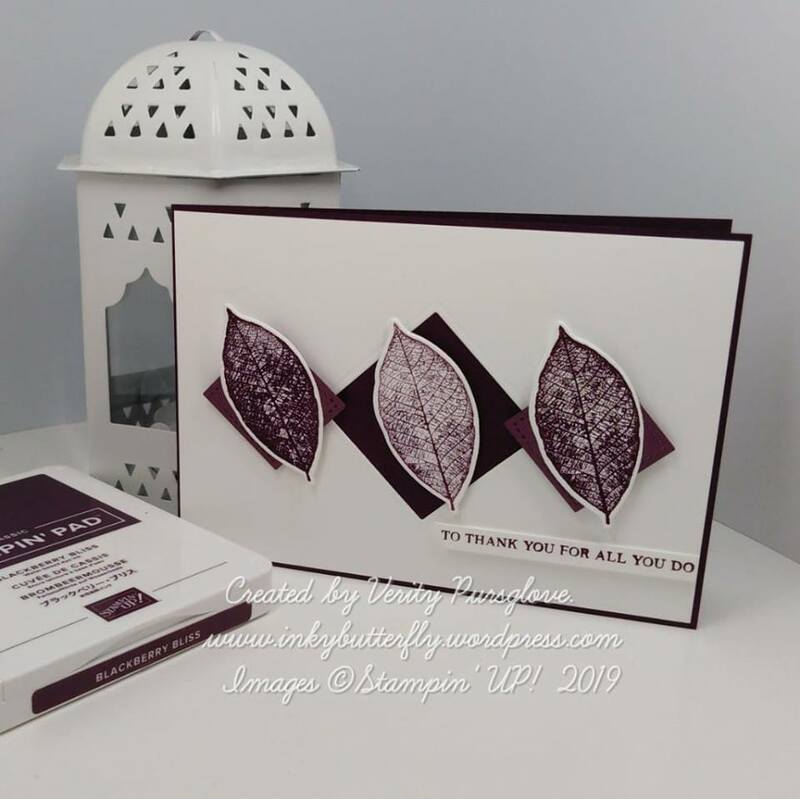 She was the only entrant who decided to play around with the sketch a bit by rotating it and turning the diamonds into squares - and with such a great result! 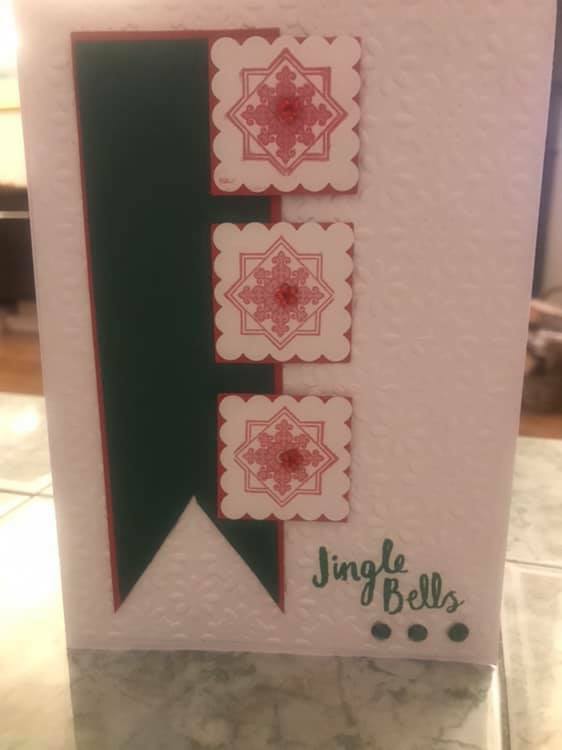 Who says you can't make Christmas cards in March? The last entry is from Verity Pursglove, who blogs at Inky Butterfly. 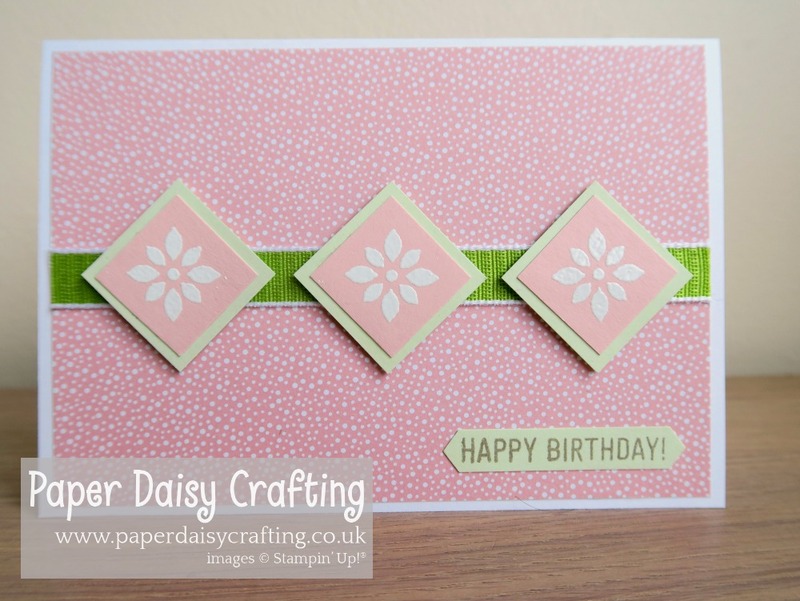 I love Verity's clean and simple card (lots of white space is always a winner for me). 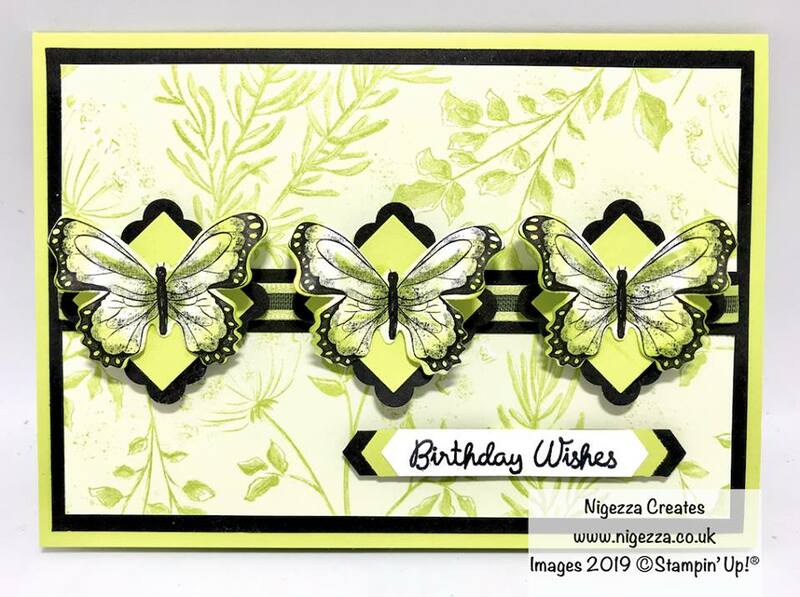 She has used a colour and a stamp, neither of which have been on my wish list. But having seen this card, I may have to change my mind! So I hope you've enjoyed this showcase. There are a lot of very creative and talented crafters out there. I'll be back tomorrow with a 3D project - a rare occurrence for me so don't miss it!